Coffee & juice bar mural. This was the first mural that Whole Foods Market commissioned me to do. 20ft x 12ft • Latex Acrylic Paint on Raw Cement. I was commissioned by Whole Foods Market to create art & signage to be displayed above their 50ft dairy case in Encinitas, CA. I suggested we create it entirely out of reclaimed wood, which is what I did. Turned out pretty cool. Below is a little video of the installation process! 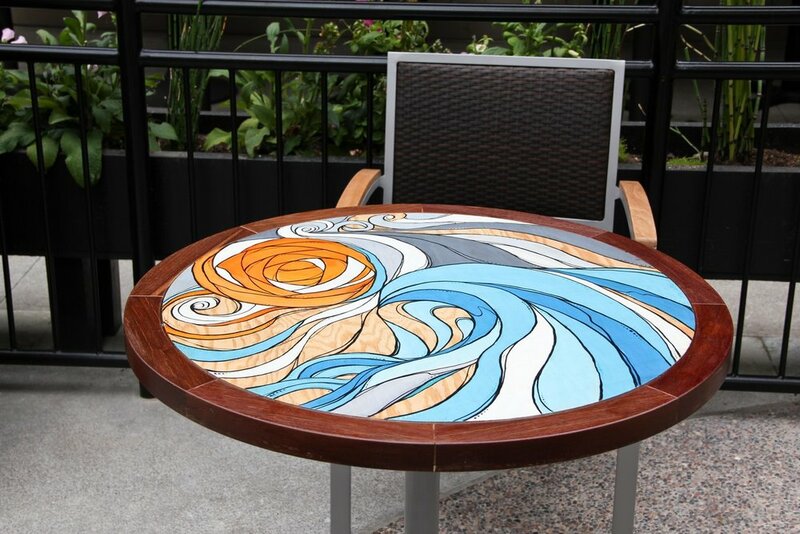 "Glide" was commissioned by Whole Foods Market in Encinitas, CA in June of 2011. This was the the last piece in the series that I created for Whole Foods, Encinitas. It is located in the parking structure beneath the market.